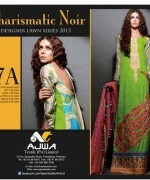 Recently, Ajwa Textile lawn dresses 2014 have been launched. Firstly, we would like to give the brief introduction of Ajwa Textile as a brand. Well, Ajwa Textile is considered to be leading and well known textile mill in Pakistan. Ajwa Textile has so many sub brands like Daisy Laurel, Jamdani, Ajwa Lawn and many more. 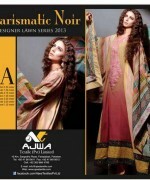 The main product lines of Ajwa Textiles are casual wear, party wear, evening wear. 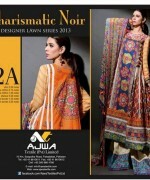 Till now, Ajwa Textile showcased so many collections according to season and festival. Today, Ajwa Textile is included in the list of best textile mills in Pakistan. The main objective of this textile mill to provide elegant and beautiful dresses according to season. Almost every age of woman always like collections by Ajwa Textile. 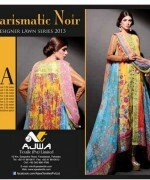 Now, for spring season Ajwa Textile is back with its latest collection. Recently, Ajwa Textile has launched its latest and exclusive lawn collection 2014 for women. 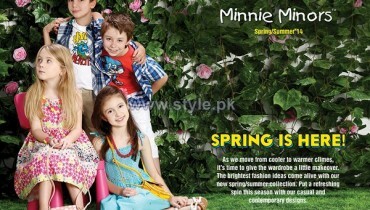 This exclusive collection has been specially launched for spring and summer season. 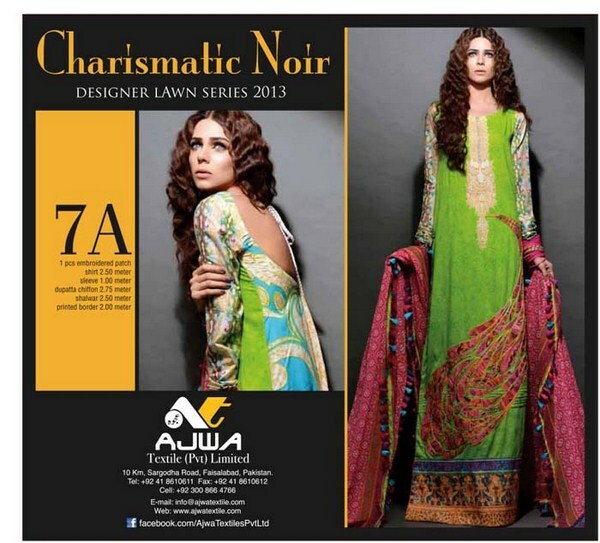 This lawn collection 2014 is named as Charismatic Noir Designer Lawn Series Collection 2014. This lawn collection 2014 includes traditional and elegant dresses. 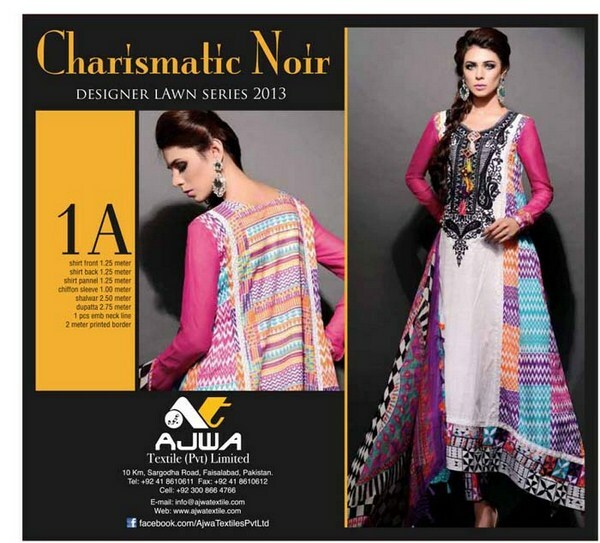 Ajwa Textile lawn collection 2014 includes long shirts, kurtas, a-line shirts with trousers and churidaar pajamas. If we talk about colors then Ajwa Textile used bright and dark colors like red, yellow, orange, blue and many more other ideal spring colors. All the lawn dresses are adorned with beautiful embroidery work and lace work. We would like to mention that this lawn collection is available in un stitched pattern. Every age of woman will surely like this collection. They can wear these beautiful lawn dresses as casual wear, party wear and even semi formal wear as well. Few pictures of Ajwa Textile lawn dresses 2014 for women are given below. This exclusive lawn collection by Ajwa Textile is now available in all the leading fabric stores of Pakistan. So those women and girls who want to buy elegant lawn dresses should visit their nearest fabric store for buying Ajwa Textile lawn dresses. Overall, we can say that Ajwa Textile lawn dresses are elegant.